The Dodd-Frank law strives to increase transparency in derivatives trading by moving over-the-counter trading to exchanges, where prices and counterparty risk are easier to track. 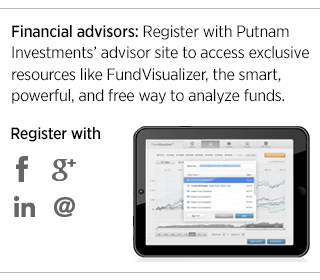 This provision has pluses and minuses for financial institutions. On one hand, funding the over-the-counter trading was expensive, so less of this sort of trading actually helps to free up capital. On the other hand, this business generated large revenues. Our view is that many of the past problems with derivatives now targeted by regulators are less significant today. For example, exotic trading instruments like collateralized debt obligations (CDOs), which were at the center of the storm in 2008, no longer exist. Banks generally stopped creating these instruments in the immediate aftermath of the crisis. The market had effectively punished and all but eliminated certain products and practices that led to large and systemic losses. 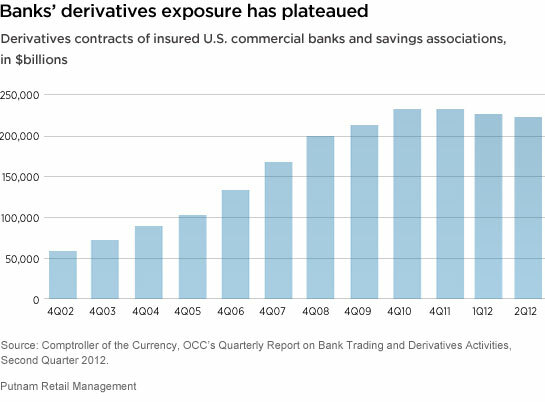 Banks’ derivatives exposure has ceased growing at the pre-crisis pace. A significant portion of the new regulations thus involve issues that pose little threat today.